Having finished a great landscape would be a good time to introduce lighting to your new area. Proper lighting better enables you and your loved ones to extend the time spent outside and creates an enchanting place to enjoy endless evenings relaxing, and entertaining under the stars. A well-designed lighting structure will bring a whole new magical dimension to the area once the sun has gone down. 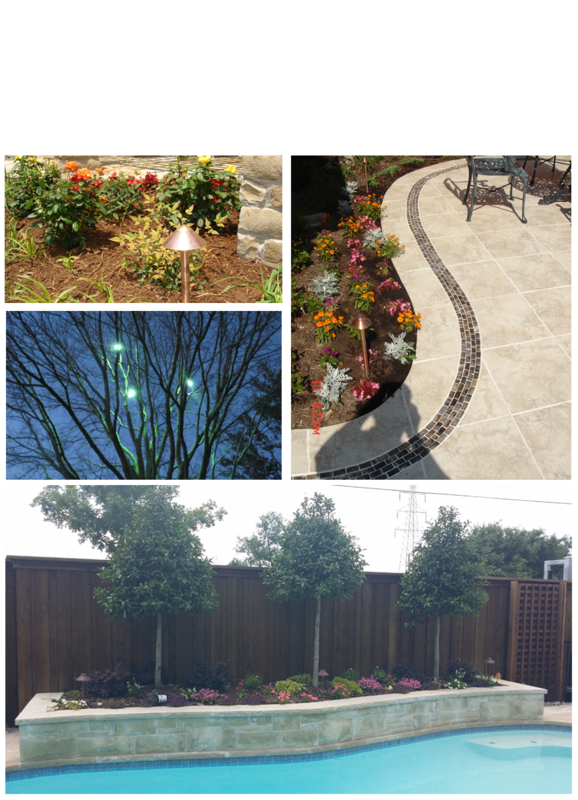 The landscape lighting schemes recommended and installed by Finishing Touch Landscape are simple and discreet. Combined with carefully chosen planting, they create a unique atmosphere to relax in and escape from the stresses and strains of everyday life. Landscape lighting can be both decorative and functional and, if selected and positioned well, will work in harmony with the whole design and space.